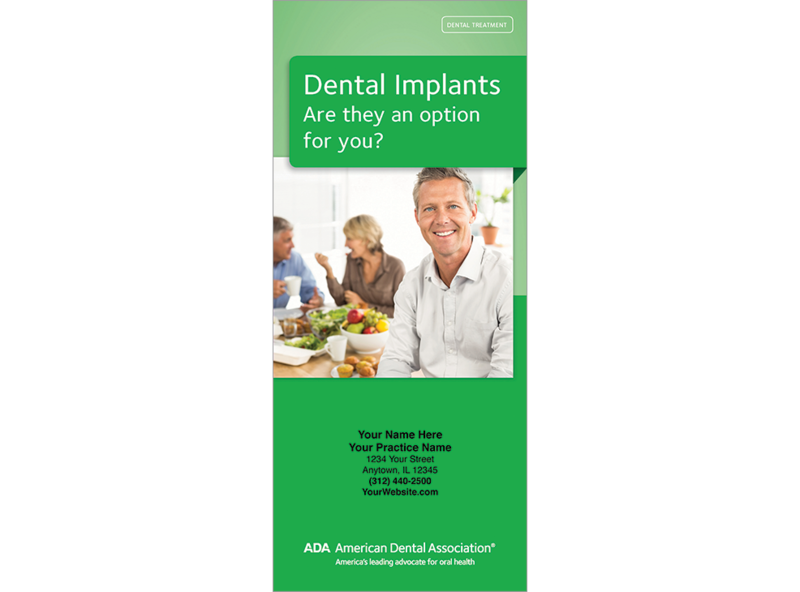 Cover all of the most common implant scenarios and help your patients make a well-informed decision on tooth replacement with one brochure! This resource has been expanded to emphasize the benefits and value of implants as a restorative option. Shows illustrations of single tooth implant, as well as implant-supported bridges and dentures. Lays out the major steps of implant placement, healing and prosthesis placement in a manner suited to both conventional and immediate-load implants. Minimum order 150. Click Add to Cart then personalize for free. Now you can add personalized information on the front, back, or both covers on all brochures.